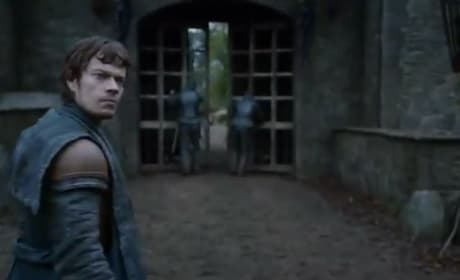 Theon talked a good game on the season two finale. But he didn't really get a chance to walk the walk. 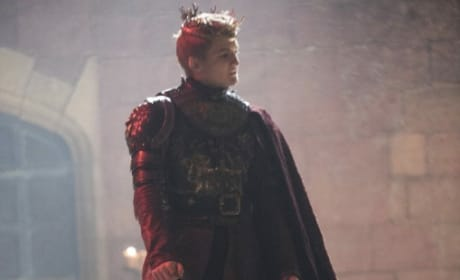 Joffrey Baratheon stands tall and proud in this Game of Thrones season two finale photo. 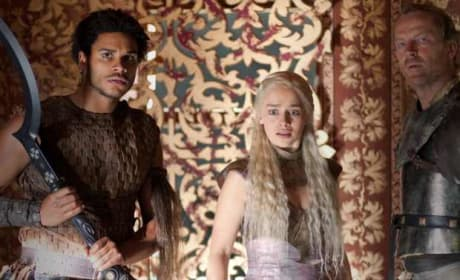 But will he remain that way? 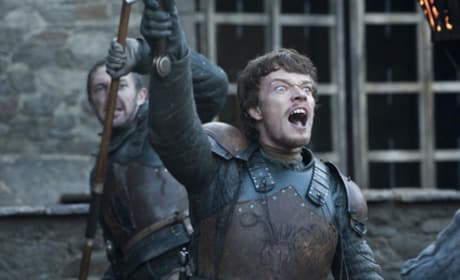 Theon Greyjoy has been on quite the season two journey. 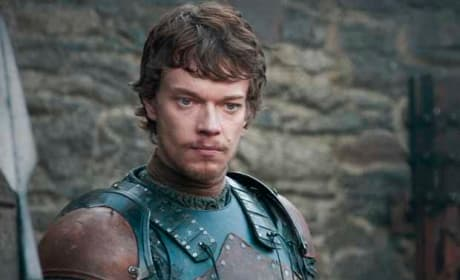 This is a photo of him from "Valar Morghulis." 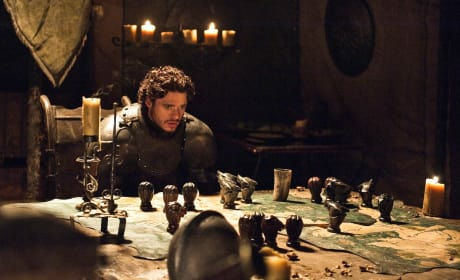 The Battle of Blackwater is on! 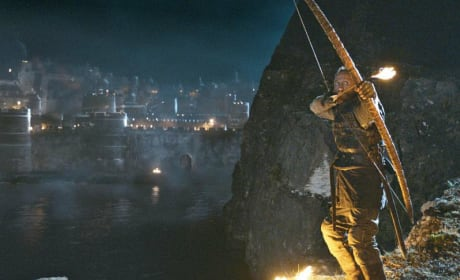 Bronn takes aim in this Game of Thrones photo. 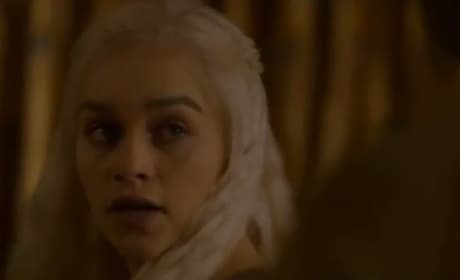 Daenerys reacts to developments in Qarth in this Game of Thrones scene. 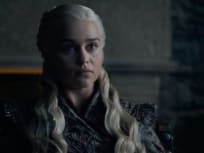 They aren't going so well. 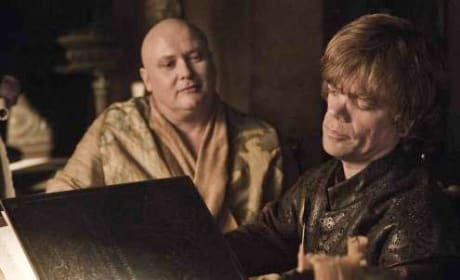 This just in: The folks in King's Landing so not like King Joffrey at all. He's starting to realize this. 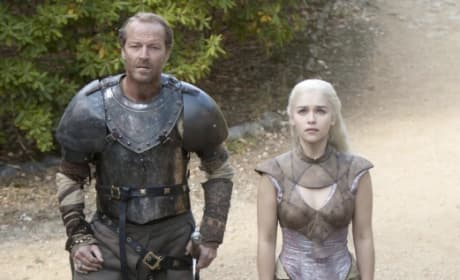 Dany has a simple request in this photo: find her dragons. Find them now! 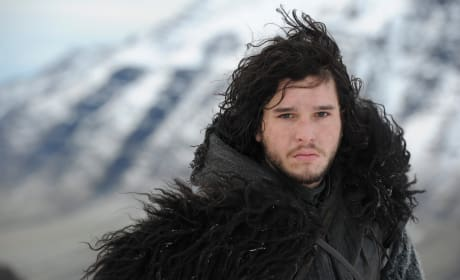 Jon Snow isn't exactly a Game of Thrones character known for cracking a smile. 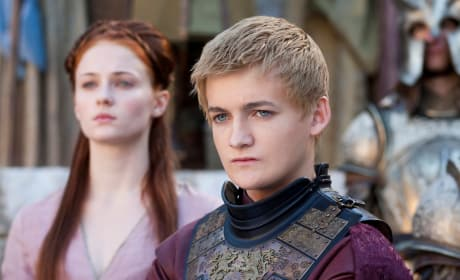 He puts on his serious face again here.